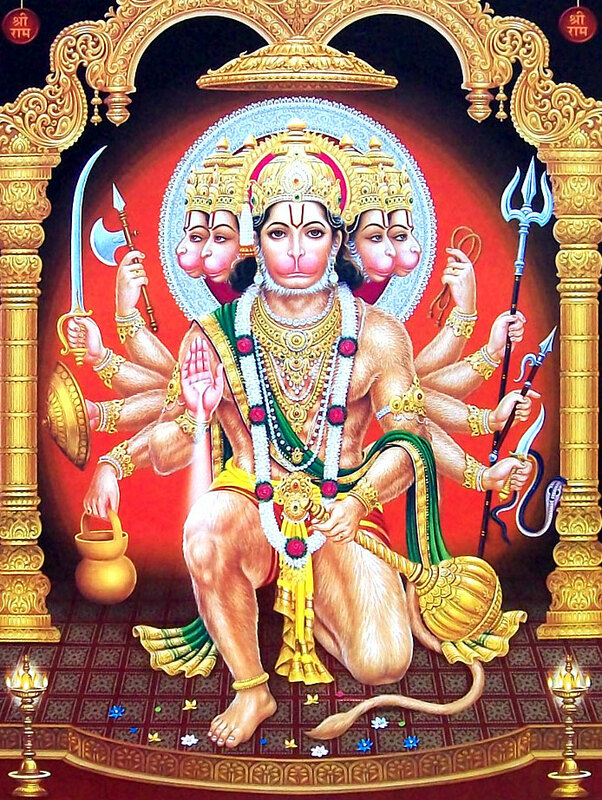 According to the texts in Hanumanth Prakaranam in Sri Vidyarnavatantram, Panchamukha Hanuman has five faces and ten weapons. 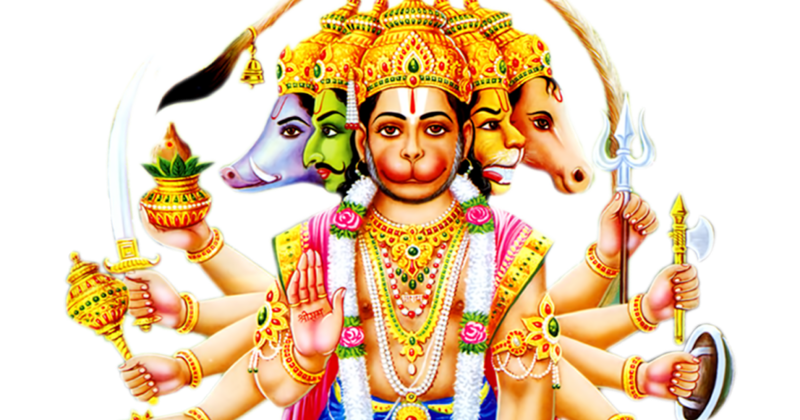 The five faces are Lord Hanuman, Lord Narasimha, Lord Adivaraha, Lord Hayagriva, and Lord Garuda. 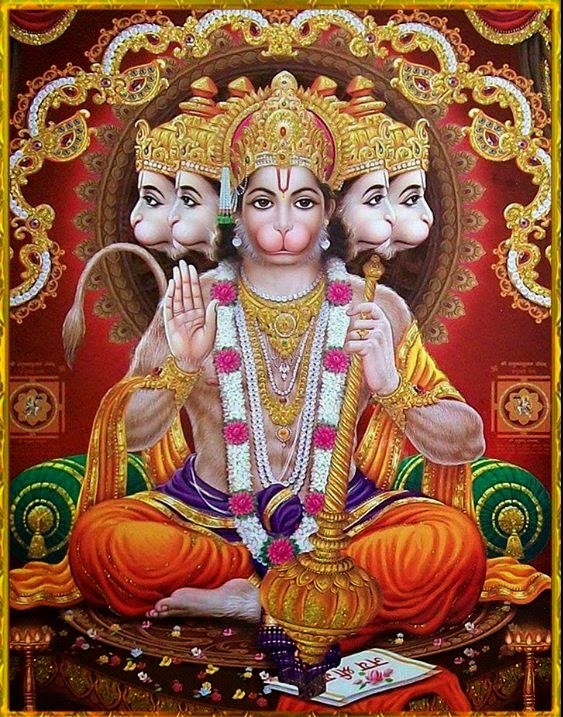 Hanuman is a great yogi having transcended the five senses (Pancha Indriyas). 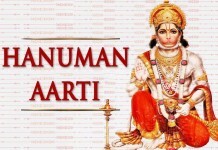 Hanuman can be traced to the greatest epic of our country, the Ramayana. In the Ramayana, during the battle between Rama and Ravana, when Ravana’s son Indrajit is killed, Ravana calls his brother MMahiravana for help. 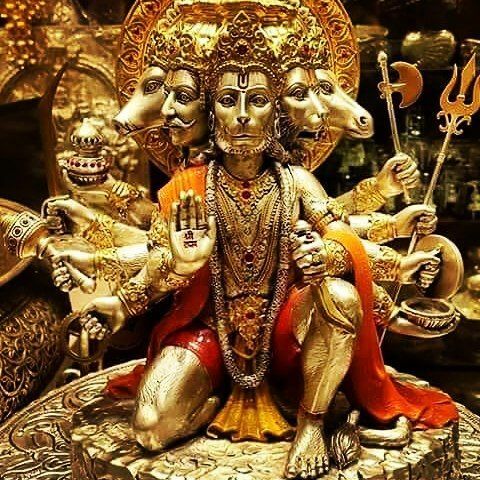 MMahiravana, Mahiravana, the king of Patala (the Underworld), promises to help. Vibhishana somehow manages to hear about the plot and warns Rama about it. 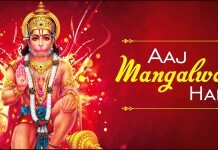 Hanuman is put on guard and told not to let anyone into the room where Rama and Lakshmana are. MMahiravana makes many attempts at entering the room but all of them are thwarted by Hanuman. After defeating his son, Hanuman enters Patala and encounters Mahiravana. They have a strong army and Hanuman is told by Chandrasena that the only way to vanquish them is by blowing out five different lamps located in five different directions, all at the same time in return for a promise to be Lord Rama’s consort. Hanuman assumes his five-headed form (Panchmukha Hanuman) and he quickly blows out the 5 lamps and thus kills Mahiravana. Throughout the saga, both Rama and Lakshmana are rendered unconscious by a spell by the demons. There are five ways of prayer to the Lord. They are Naman, Smaran, Keerthanam, Yachanam and Arpanam. The five faces depict these five forms. 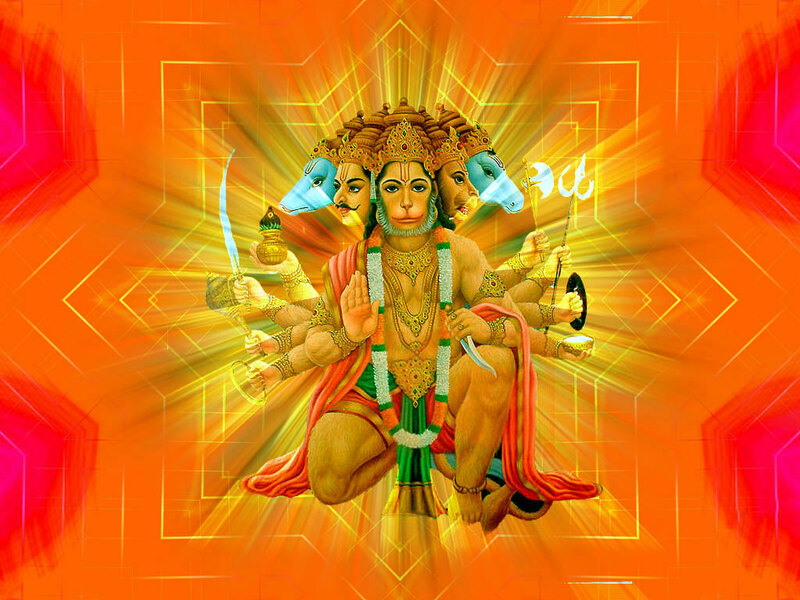 Lord Hanuman always used to Naman, Smaran and Keerthanam of Lord Sri Rama. He totally surrendered (Arpanam) to his Master Sri Ram. He also requested Sri Rama to bless him the undivided love. The weapons are a parashu, a talwar, a chakra, a dhaal, a gada, a trishula, a kumbha, a Katar, a plate filled with blood and again a big Gada.